In Singapore, when one orders char siew fan (rice with barbecued pork) he gets siew yoke (roast pork) and siew cheung (roast sausage) as part of the deal. Author Benny F. H. Lee, a trade consultant, who isn’t too fond of barbecued pork, always tell the stallholder to hold the char siew and give him the rest. When he did the same in Hong Kong, the stallholder grew mad with rage. In Hong Kong, char siew fan means rice with barbecued pork and nothing but. Telling him to hold the char siew meant asking him for plain rice.That incident wrenched Benny out of the delusion that he understood the culture in Hong Kong simply because he shared a common Chinese dialect. The same is the case with many international marketers who assume they know a foreign market because they speak the local language. 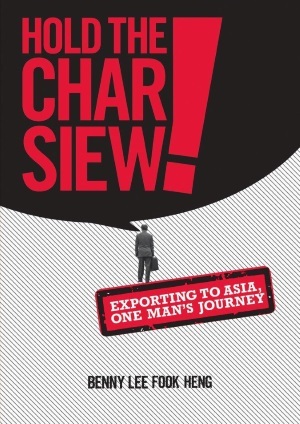 In his book Hold The Char Siew, Benny breaks down the basics of marketing in the Asian continent. To his credit, Benny has over thirty years of international marketing experience. In 1994 he left the corporate world and set up his own export consultancy. Since, he has successfully consulted with MNCs in various countries. He is also a well-known speaker and writer, who has been published in The Business Times among others.